HomeBlogHome DecorEgg Table by Wamhouse, perfect for breakfast. 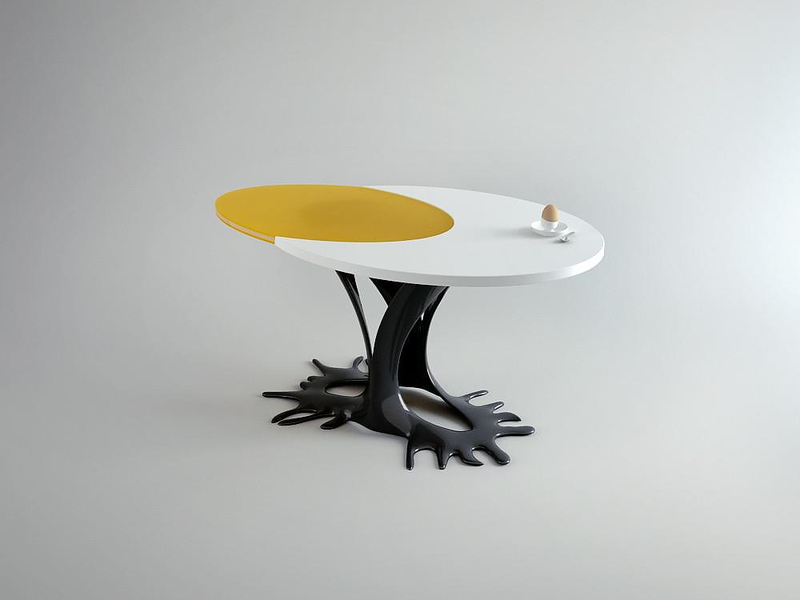 Playful, inspiring and comic at first glance, the Egg table by Polish design studio Wamhouse looks like it belongs to a children’s play or a fairytale. But when someone looks closely, the impressive construction quality and detailing is even more obvious than the exceptional sense of humor its designers seem to have. 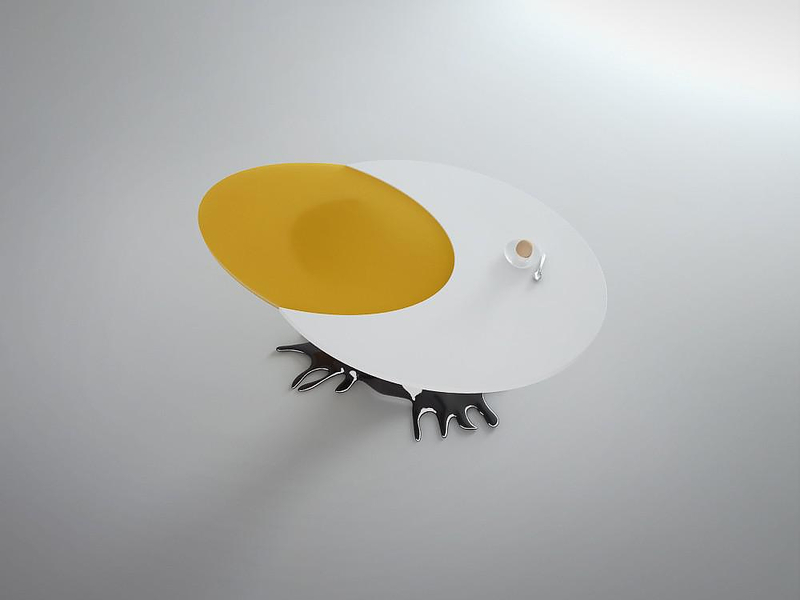 This unconventional table looks like a sunny-side-up egg with the yolk on one side of an ovoid and the albumen forming the rest. 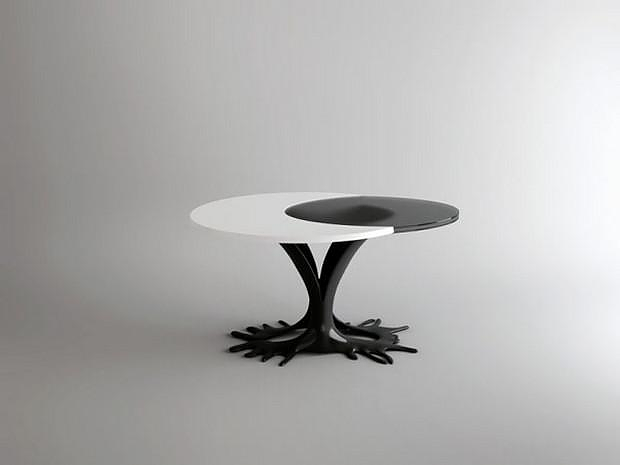 The table is mounted on a dual-talk which reminds of the splattering when breaking an egg. 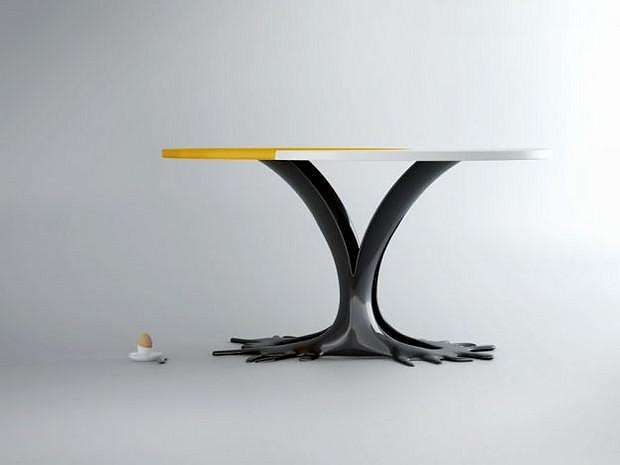 Following up the birth of the Egg table concept is also interesting. The designers themselves claim that they draw inspiration from the natural scenery of northern Poland, where Wamhouse offices are plunged into. This is obvious just by looking the design of the Egg table. 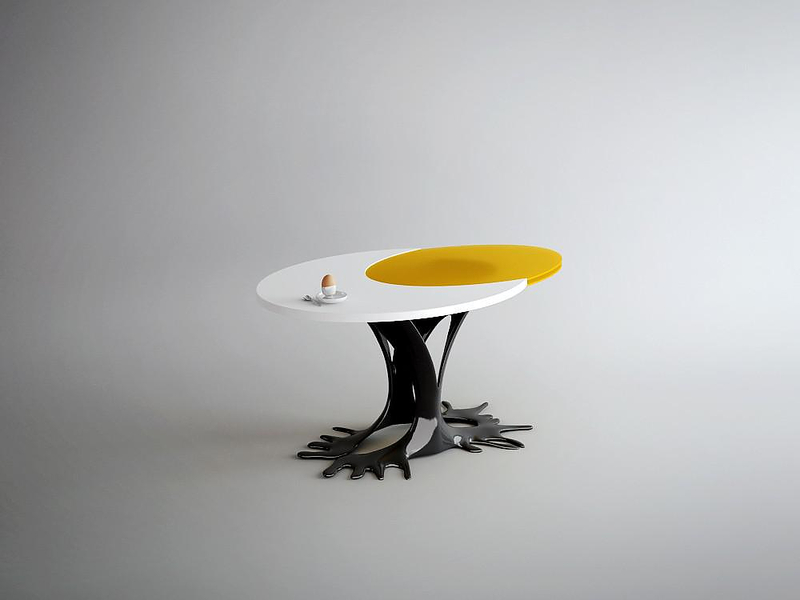 The Egg table is based on a pole that resembles a tree bark. Also, the table surface consists of two oval shapes joined together in a composition that replicates the shape a raw egg takes when broken into a pan. 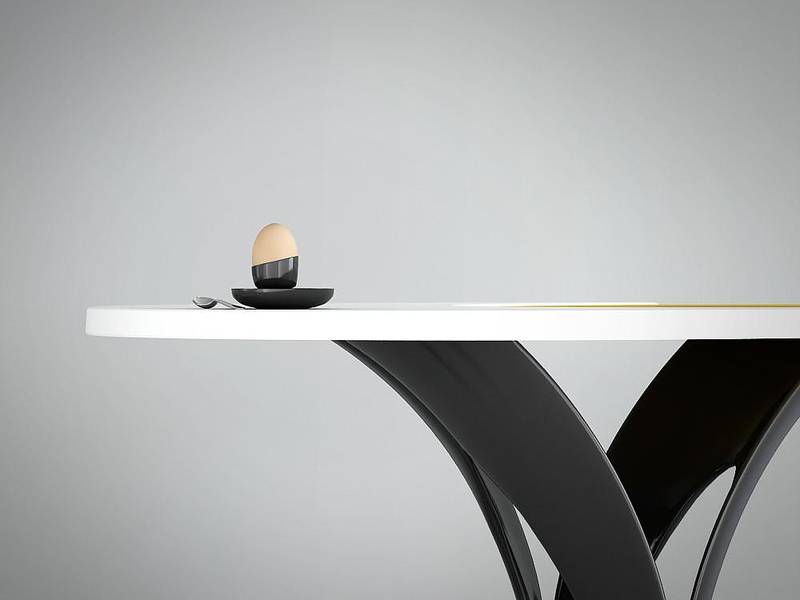 With all the above said, or read in our case, could you imagine a table more ideal for breakfast than the Egg table? Wamhouse has been in existence since 2005 when a graphic designer and a civil engineer decided to join their creativity and share their love for architecture and design. 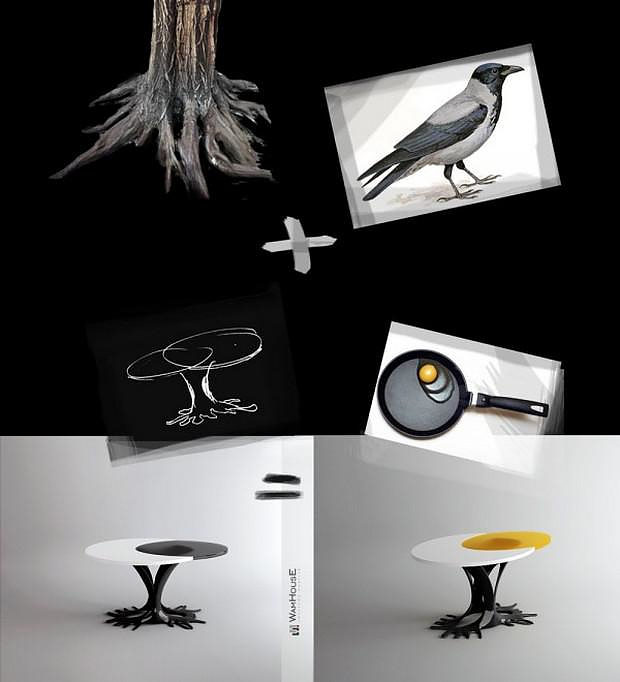 In addition to the yellow/white color combination, they also make their humorous Egg Table in a black/white variation.